New South Wales = Sydney Harbour Bridge. Victoria = The Great Ocean Road. But South Australia = ? Well … WHAT?? Maybe South Australia doesn’t have one defining draw-card – but that’s because as far as I’m concerned, it’s got TEN!! And 10 TOP things to do in South Australia! Enjoy! Getting to Arkaroola Wilderness Sanctuary, Australia’s premier eco-tourism destination, by car is half the fun – and a tour of some of the most spectacular South Australian Outback scenery to boot. The Sanctuary Village is set amidst a stunning landscape of fantastic rock formations, low ranges, multi-coloured minerals and a massive sky. So how do you top that? Take the Sanctuary’s signature Ridge-top Tour – a rugged 4 hour return 4WD adventure through the (almost) trackless wilderness to Sillers Lookout. 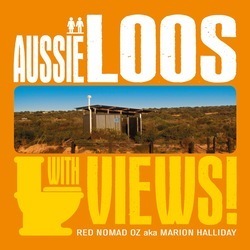 I’m calling it the best lookout AND one of the best adventures in OZ! It’s just as well that Thylacoleo carnifex is extinct. It’s scary enough seeing a ghostly skeleton silhouette deep underground in the Naracoorte Cave system when you know it’s long dead. But imagine meeting a real live one face to face above the ground? These days, the scariest wildlife (not counting snakes) above the ground along the Limestone coast are the wombats! 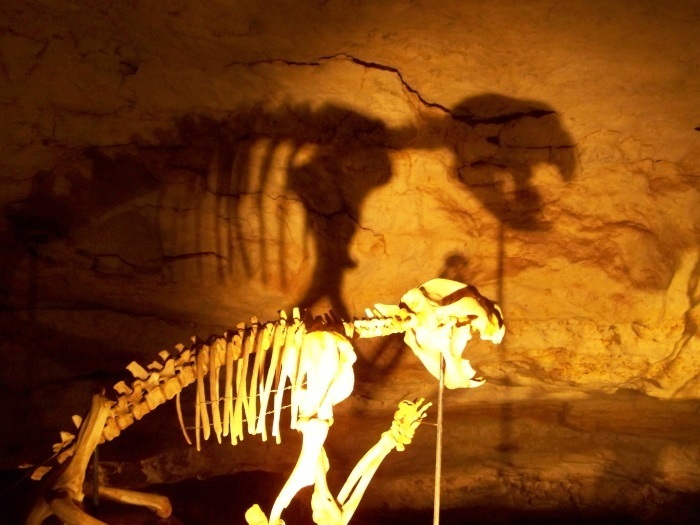 South Australia’s only World Heritage listed site is an awesome blend of fascinating Pleistocene megafauna fossils, stunning limestone formations and intriguing pre-history. I’m not sure if the LOOOOONG drive across the Nullarbor Plain just above the LOOOOONG curve of the Great Australian Bight stretching for thousands of kilometres along the southern coastline and the LOOOOONGest unbroken line of sea cliffs in the world means the Head of Bight whale-watching experience qualifies as EXTREME whale-watching! In season, from May to October, Head of Bight becomes a whale nursery with 40 or more whales and calves cavorting below the cliffs. But you won’t come across it by chance – it’s over 800 km west of Adelaide so it’s best experienced as part of a Nullarbor crossing en route to Perth (or Adelaide if you’re heading east). And that’s a pretty cool road-trip adventure in itself! 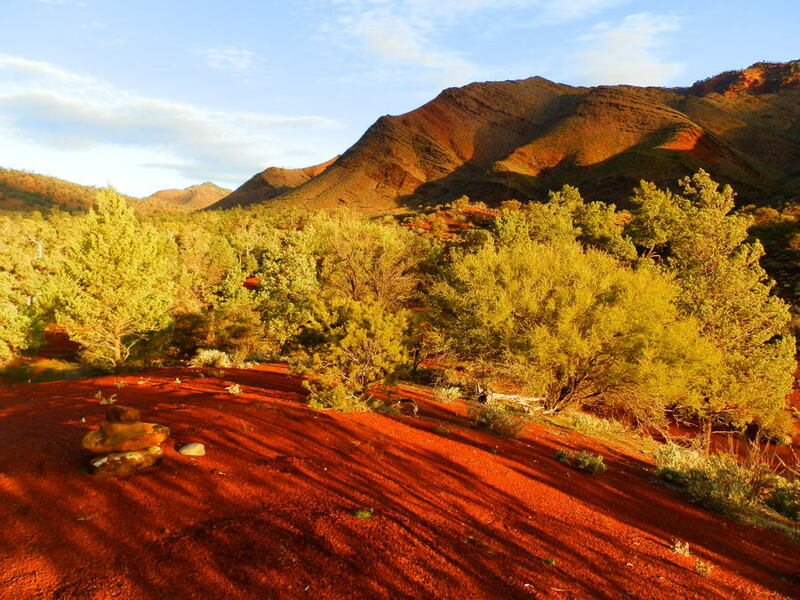 Unless you’re planning a lengthy stay in the magnificent Flinders Ranges, it’s way too big to see it all in just one visit. So make a start by exploring its iconic centrepiece, the spectacular Wilpena Pound, a massive 8 x 17 km natural rock amphitheatre once used by early pastoralists as a grazing ground! If Wangara Lookout near the old Homestead doesn’t give good enough view; or a sighting from atop St Mary’s Peak is too challenging; or a flight over the Pound too expensive, take the up close and personal (and fewer people) option and walk across it! The Bridle Gap trail (also part of the Heysen trail – see below) crosses Wilpena Pound and climbs its southwestern edge for spectacular views back across the Pound and out across the layers of ranges beyond. Troubridge Island is about 2000 km too far south to make it into the tropics. But if you were washed ashore on a fine day, you’d think you really WERE on a deserted tropical island. Deserted but for the Little Penguins and Cormorants for whom this is a breeding ground AND whoever else you brought with you to share the solitude!! But snorkelling the clear waters surrounding the island, hauling in a fish or two for the BBQ, wandering the beaches and staying in a renovated lighthouse-keeper’s cottage about 6 km offshore from Edithburgh on the Yorke Peninsula is a mighty fine deserted-tropical-island substitute. The odd-shaped wind and sand-blasted granite Rocks aren’t the only remarkable thing about the third largest of Australia’s 8222 islands! Vivonne Bay is regularly in the top 10 eco-friendly beaches in Australia, if not the world. Because of its relative isolation it’s got the purest strain of Ligurian bees in the world – just one of the reasons that foodies flock here. And if you like the smell of fish, get up close to the permanent seal colony! 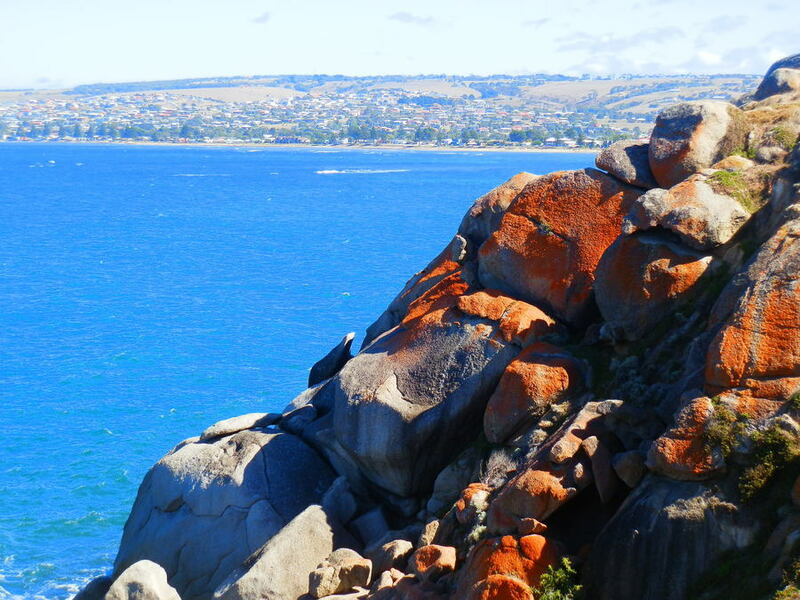 BUT … head back to Flinders Chase National Park to see why these rocks ROCK! Mostly underground, tiny outback opal mining town Coober Pedy is classic South Australian Outback with a harsh climate, distinctive mining town moonscape, the only underground campground in the world, the BIG Winch and just up the road, the longest man-made structure on earth – the Dog Fence! It’s not just South Australia’s first railway line AND first public line laid with iron rails in Australia; this coastal railway line running from Goolwa to Victor Harbor is also unbelievably scenic. Break your journey and explore the stunning coastline at Middleton and Port Elliot; then take a stopover in Victor Harbor and take the horse-drawn carriage to Granite Island. Back in Goolwa, there’s the Murray Mouth and Coorong – end of Australia’s longest river system, and the chance to explore the wonderful coastline visible from the train. 7 hours north of Adelaide, the driest part of the driest state of the driest continent on earth isn’t the most logical place to set up a town to service a fledgling wheat-growing industry. Maybe that’s why Farina is now a ghost town – except for a few weeks in May, June and July when the Farina Restoration Group move on-site. But historic site restoration isn’t the only attraction on offer at Farina – one of the first buildings to be restored was the smokin’ HOT Farina Bakery! All the better for being so unexpected, the Bakery’s volunteer bakers turn out an extraordinary amount of perfectly baked goods in the middle of the Outback! One of Australia’s Great Walks, the 1200 km Heysen Trail is a great way to see the best of South Australia. And if you haven’t got a spare 60 days to do the whole walk, then use the route map as a guide, choose a few sections in areas like the Barossa Valley, Mount Lofty Ranges, the Mid North and Flinders Ranges and see the highlights on foot. Starting in Parachilna Gorge and ending at Fleurieu Peninsula coastal town Jervis Bay, the walk is named for legendary artist Sir Hans Heysen, whose works showcase the beauty and diversity of South Australia. Of course there are plenty more RED HOT South Australian experiences to be had, but you’ve got to start somewhere, right? And if you’re ready for a South Australian adventure, take a look at the best flights and get started! Have YOU been to South Australia? Do share YOUR favourite things to do in South Australia in the comments below!! PSSST! MORE South Australia Photos on Flickr! Previous Post: 16 RED HOT Go-To Blogs for Australian Travel Inspiration! « 16 RED HOT Go-To Blogs for Australian Travel Inspiration! Well I didn’t know much about South Australia, but I do now! Looks like there is loads to do and see, which is always a plus so adding this to the list when I finally get to Oz to visit family. Love the look of Naracoorte Caves! I love finding experiences that not many others have done, but I had no idea that I’d hit the jackpot in South Australia, Samantha! I know a lot of people leave it of their Aussie itinerary, but there are a lot of cool things to see and do! Glad to have introduced you to them!! Just 10 more reasons why I need to go to Australia! South Australia looks so diverse. The Arkaroola Wilderness Sanctuary and its 4WD tour sounds so fun. I’d love to do some whale watching, too. 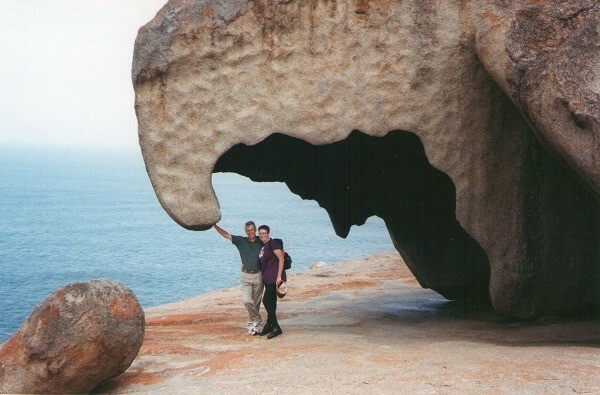 Kangaroo Island looks interesting too with its rock formations and bees. I always like to have good foodie options after spending the day adventuring. More reasons to go to Australia. Although that super longgggggg one lol makes you go hmmm. I am sure it is worth it in the end though. What a great top 10 list! I love the way you organized it! I never realized that there was just so much in South Australia. I love all of the mountains in the area! Lots of travellers leave it off their Aussie travel itinerary, Paige – but the pix speak for themselves! Of course if I only had a limited time downunder, I’d head straight for Uluru, but South Australia is a rewarding destination for travellers who like natural attractions! What I love the most about this is that it isn’t just the usual top line experiences that people would expect….the ones that are marketed more. I love that you have the bakery in here too. South Australia doesn’t get nearly enough coverage as being a place to go to when people visit Australia. Great post. There are LOTS of other sites telling you all about experiences everyone already knows about (or haven’t heard of, but can’t afford), Kerry! 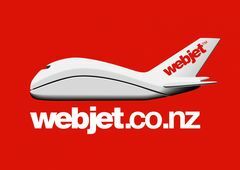 That’s why RedzAustralia shows you some great alternatives and gets you off the beaten track!! South Australia has amazing diversity and it’s a great destination in its own right – depending on the type of holiday you’re looking for! I must say that this is a great list of things to do in South Australia. I don’t see posts about this place that much. The Heysen Trail looks gorgeous!!! Thanks for the post and you are right! South Australia may have been left out somehow but for wanderlust like us, it’s much more interesting to visit these “secret places!” like the Rocks on Kangaroo Island would be great for me!! ?????????? Australia is such a beautiful country and it’s huge! I’m so glad to find there are so many places to explore just in South Australia! It’s pretty hard to see all of Australia in a couple of weeks, Chloe – so if time is short, my tip is to pick a state (like South Australia) and explore it thoroughly! South Australia is an incredible State! I’ve done Coober Pedy, Kangaroo Island and Adelaide, and we LOVED our time. Coober Pedy was probably one of the most interesting towns I’ve visited of anywhere else in the world – it was really unique to sleep underground! Shouldn’t Barossa Valley be here…home of Australia’s finest wines? That’s the reason we are visiting Adelaide in 2019 (and not Sydney!). We’ve not yet been to Australia. I feel like we need at least a good month if we’re going to make that trek over there! And I had no idea that Australia had over 8000 islands besides the main one. There’s just so much to see and do there it’s overwhelming to try and decide what to do on a first trip. Kangaroo Island looks interesting! You’re right, Jennifer – of course if you haven’t got the time you can do a flying visit in a couple of weeks, but my advice is to make the long trip down here worthwhile and spend as long as you can! You still won’t see everything in a month, but you’ll have a lot better idea of what Australia’s really like by seeing a variety of places! Lots of people leave South OZ off their travel itinerary, Fiona – of course it depends what kind of holiday you want, but we’ve always found LOTS to do here! As an Aussie I’m ashamed to admit I don’t know most of these places! Need to get my bum back on Aussie soil to explore SA. We often get asked if we’ll go overseas more now that we’ve ‘finished’ exploring Australia, Roma! But the more we look, the more we find 😀 I don’t think we’ll EVER be ‘finished’! Cannot decide which to include and which to leave out. This country is so gorgeous and such a mix of experiences available. That makes it easy then, Punita – go to ALL of them!! The experiences that South Australia promises seems to be really tantalizingly tempting. Each one of the 10 experiences that you write about is worth its weight in gold or should I say Opal! I would love to go underground in search of the precious stone though. The good thing about searching for opal is if you don’t find it underground, then you’re sure to find a nice piece above ground – in one of the shops!! Hope you make it down here one day, Sandy N Vyjay! Great article Red and just in time for our SA roadtrip. We’ll be there in August so bookmarking your page. Thanks! What a fabulous round up! Love this! Great ideas for South Australia travel. been to a few but the Cockle train and the islands look good to me if I get there again. Oh yes just remembered I’m going next year via the Ghan from Darwin. We stop in Coober Pedy, which I’m looking forward to. Trust you to find a renovated bakery. I was amazed at Lake Eyre during flood time. I’m sure you’ll be able to find yourself a little something in Coober Pedy, Diane! And there’s nothing wrong with MY bakery sensor – although I was VERY surprised to find this little beauty in the middle of nowhere 😀 Enjoy the Ghan – I’m sure if I’d been on it myself I’d be listing it here too! Thanks Jo! Between me and Kathy (50 Shades of Age) you should have South Australia sorted! But wait – does your talk of flying over mean you’re NOT going to drive the Nullarbor??!! Looks like a fabulous state to visit–what a wide variety. Gorgeous shades of blue– and red! I’m always amazed by the wide vistas that you show in your photos. Thanks, Red! Everyone thinks Australia is mostly RED, Christie – but there’s an astonishing number of BLUE places as well!! South Australia is the ‘forgotten’ state when it comes to tourism – despite the amazing array of natural attractions, everyone flocks to Uluru & the Barrier Reef! Stunning images of my favourite state, which I haven’t explored nearly enough. but I enjoy viewing it through your eyes and camera. It’s always a surprise to me that South Australia gets left off the travel lists, River – we’ve got a wonderful and diverse state, and I haven’t even seen it all! Kathy (50 shades of Age) did a post on the A-Z of South Australia a couple of weeks ago, and there’s a LOT on her list that I haven’t seen! Keep watching! Guess I really got up with the wrong foot when it comes to Flinders Ranges – maybe I should give it a second chance some time in the future! One day I’ll make it to Oodnadatta too, Iris! But first I’ll need a different car and camper-trailer!!! Just bought a sun visor with a zipped section around the head band with a little net inside. When the blowies get bad, you unzip and let it down! Can’t wait to try it out!! I would say that they are definitely 10 very good reasons to visit South Australia. I think most people associate South Australia with the Barossa Valley wineries or the Adelaide Beaches or the fishing on the Eyre Peninsula. You have just given me so many more great places to see in SA. The color of sea water is just amazing… I’d thought that that color exists only in tropical islands, but it is in Head of Bight and Troubridge Island! Seriously, it’s like a great holiday!! Ah, but once you’re HERE, Kozue, there is SO much to do that your LONG trip to get here will be forgotten! You’re right about the sea – I’m always amazed that South Australia, so far from the tropics, has what looks like tropical waters! It just goes to show that we shouldn’t categorise our geographic features! Would be toss up for me between Troubridge Island and the Cockle Train. Mount Gambier is pretty special too. Haha, I nearly made it 12 South Australian Travel Experiences Andrew – Mt Gambier and Yorke Peninsula (as well as the Troubridge Island bit) would have been on THAT list! There are NO good reasons I can think of to leave South Australia off your travel itinerary, Jo-Anne! Views and food? Two of my favourite things, Yum – but I’d probably put that list in a different order!!! There are so many things to see and do downunder, Eileen – and I’m showing off some of the highlights in lesser known South Australia! It really is awesome and I’m sure you’d really enjoy it!! Have a great week too, my friend! Wow, there are many great places and reasons to visit Australia. I would love to see some of these sights, especially the whale watching and Southern Australia. Gorgeous images and a great post. Happy Monday, have a great new week ahead!